I never wanted to have anxiety attacks. It’s not something I signed up for. But, like it or not, they happen. So many people don’t understand how awful anxiety attacks can be. They tell you to just get over it, or you shouldn’t be feeling that way, or it’s not that big a deal. But it is! Thankfully, my anxiety attacks have been much more manageable and less regular since I discovered a few natural anxiety remedies that I can use any time I need them. I want to share these techniques with you! First, let’s go over what anxiety really is and what causes anxiety attacks, and then we’ll dive into some home remedies for anxiety that really work! Ready? This website contains affiliate links- meaning that if you follow a link to something I recommend, I might receive a small commission at no extra cost to you. More info here. And please note that I’m not a doctor- I’m not making any claims, and this information isn’t meant to diagnose, treat, or cure anything. Basically (really basically), anxiety is a feeling that comes from our brains. There’s beneficial anxiety, and then there’s the anxiety that plagues us and doesn’t help one bit. The feelings you experience during anxiety or an anxiety attack can vary greatly. You might just feel stressed out and high-strung, or you might feel like you can’t even move and can hardly breathe because you’re paralyzed by fear. There are many different symptoms of a panic or anxiety attack, and they can vary widely from person to person. No fun! These psychological, behavioral, and physical symptoms are signs that there’s something going on internally that you might want to pay attention to. But before we go further, let’s talk about the different types of anxiety -and which ones we won’t be covering in this article. There’s no clinical diagnosis for an anxiety attack or panic attack, no anxiety test you can test to prove that you have anxiety. But still, if it’s affecting your life, anxiety is something that needs to be addressed, diagnosis or not. This post won’t dig into more than Generalized Anxiety Disorder- that is, the type of uncontrolled anxiety that doesn’t really have an obvious cause and affects many people regardless of things like previous trauma or other negative experiences. So when we look at what’s really happening in our psychology, what causes this type of anxiety and anxiety attacks? At the root, anxiety happens because of the neurology of our brains. When your brain perceives an external stimulus (sights, sounds, etc) as a threat, it wants to protect you and avoid any pain! So what causes anxiety in the brain? Well, our ancestors were focused on survival, so our brains focus more on what could go wrong than what could go right. This normal anxiety is still really helpful when we need heightened awareness, but constantly being in that heightened state can make life really hard. It makes problem-solving tough, which can lead to us feeling stuck in anxiety without any solution. According to human design, anxiety usually comes from your root center (the center for adrenaline pressure) or the spleen center (where our fight-or-flight mechanism resides). Balancing these energy centers can help to alleviate feelings of anxiety. Related: What is human design, and how can it change your life? Anxiety disorders can develop when our brains are continuously stimulated towards anxiety. This can actually rewire the brain, making it more negative overall, and making your anxiety worse. The good news? Neuroplasticity! That means that the brain is flexible and malleable- you can change and heal. The solution is to find a way to let the brain know that you’re safe and can relax. 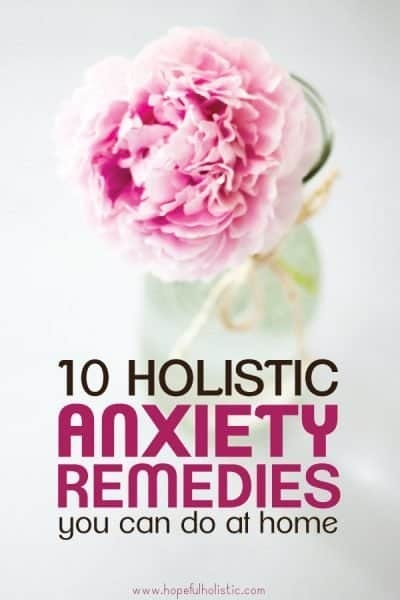 Before going into home remedies for anxiety, it’s worth mentioning all the over-the-counter fixes and anxiety medications that are available. Anti-anxiety drugs are very popular, especially in America where depression and anxiety are on the rise. Although these drugs are a valid method of managing uncontrolled anxiety, they aren’t always the best idea, and these drugs shouldn’t be used long-term. Anxiety medications aren’t actually anxiety treatments. Instead, they usually just work to suppress the symptoms of anxiety. They can’t fix the root issues. There’s also a possibility that your brain can get used to the drugs used to cover your anxiety symptoms, and you’ll end up needing more drugs or stronger prescriptions. ….Wait, nervousness? So many of these side-effects are symptoms we’re trying to avoid! Some people respond worse to anti-anxiety medications than others, and there might be some nasty withdrawal symptoms you experience when you stop taking them. There are also many medications with risks that make them unsafe for pregnancy. So if you’re looking for an anxiety treatment to help with your symptoms without any drugs, it’s worth it to try a natural approach first! If you’ve ever experienced anxiety or panic attacks, you’ve come to the right place! 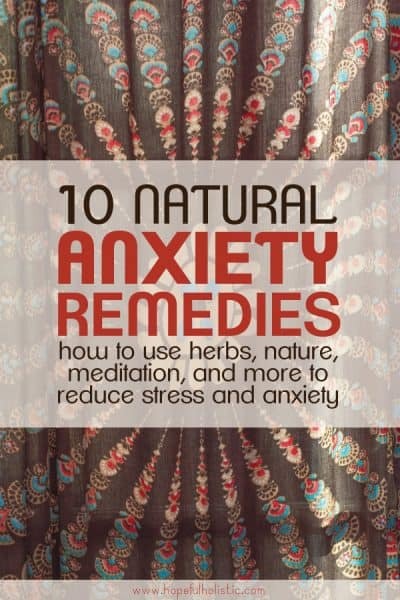 Below you’ll find some easy immediate natural remedies for anxiety, natural herbs for anxiety and panic attacks, and some natural anxiety supplements. These holistic remedies don’t suppress or cover over symptoms of anxiety, but they do help support your body and your brain to realize that you’re safe and that it’s ok to stop the anxiety, naturally. Try any or all of these tips. Find what works for you, and keep doing what works, but don’t be afraid to go beyond these tips to get extra help when you need it! Things like therapy might be the next step towards your complete recovery. Hopefully, these tips can help nudge you in the right direction the next time you’re experiencing stress or anxiety! Any time you’re feeling anxious, try breathing deeply. Breath in through your nose, hold it for a bit, then breath out through your mouth. Remember how your brain thinks you might be in danger? Well, any time you’re really in a dangerous situation, your breathing will become more shallow. Deep breathing can help to convince your brain that you’re safe and that it’s ok to calm down. Try closing your eyes too- this adds to the message that you’re safe, since you’d never close your eyes and slow your breathing if you were, say, being chased by a bear or something. Or, you can try focusing on physical objects around you. This can help get you out of your head and realize that there isn’t any immediate danger. Take a few deep breaths, all the way down to your belly, to help restore feelings of peace and calm. Deep breathing is also a good habit to get into before bed since it can help you wind down and get better sleep. Overall, I view deep breathing as an important part of self-care that can help boost your mood in minutes! Sugar affects blood sugar which affects mood. It works this way because your brain is happy when it has enough blood sugar. When you eat something sugary, your blood sugar will spike and crash rapidly because of the release of insulin that happens to store and use the rush of sugar it’s just received. After that blood sugar crash, the brain is no longer happy, so in response, stress hormones like adrenaline are released, which tell your brain to eat something sugary again to get your blood sugar up. That’s why there can be fluctuations in your mood after eating something sweet. What’s more, the quick releases of adrenaline can lead to anxiety and panic attacks. So if you want to avoid anxiety, you should try cutting sugar out of your diet as much as possible. Even though it might take a little while to get over your cravings, you’ll notice that fruit will start tasting sweeter, you’ll have more energy, and, who knows, you might feel less stressed and anxious! It’s worth a try. Meditating is a great way to overcome feelings of stress and anxiety. You can do guided meditations (there are tons online, I like using the one below when I feel anxious) or just meditate on your own. If you haven’t done a guided meditation for anxiety before, it might feel a little weird the first time. But just go with it! There isn’t anyone around to judge you, this is just a way for you to honor yourself and do something that is good for you and your energy. Don’t worry if you don’t visualize everything exactly as the guide describes. Let your imagination feed your soul, and do whatever you need to relax and ease anxiety. While meditating, it’s ok to have thoughts come and go, but don’t fixate on specific thoughts. Center in on your breathing and let yourself breath and relax more and more deeply. While meditating, watch what you’re thoughts are and what you’re telling yourself- if your internal dialog is consistently negative, meditating might not help very much. Along with meditation, yoga is a great way to get your mind off of the things that are making it anxious. Instead, you can concentrate your energy on something that will nurture and support your mind, soul, and body! Whenever we feel anxious, we tend to hunch over (trying to protect ourselves) and tighten up. Yoga is fantastic for loosening up your shoulders and muscles. You can look up relaxing yoga flows on YouTube, or just lay on your back and rest your legs up a wall! This position, aptly called legs up the wall, gives your heart less work to do and it can help to ease feelings of anxiety- again, partially because it helps signal to your brain that you aren’t in any danger and that it’s ok to relax. This is also a great position to do before bedtime. When you’re experiencing anxiety and stress, essential oils can be very helpful. Essential oils work by going straight to your brain when you smell them. They have the ability to address physiological disharmony and help your body achieve the balance it needs for healing. 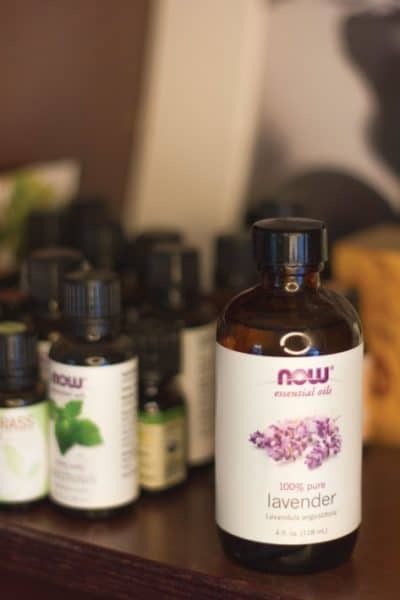 Used correctly, essential oils can be a great tool in recovering from anxiety. You can use essential oils in a diffuser for an at-home anxiety remedy. Use 5-7 drops in a medium sized diffuser like this one for an instant mood lift! You can also make an anti-anxiety roller blend! All you need is a roller bottle (this one includes a dropper for more exact measuring), whatever essential oils you like, and a carrier oil. If you’re going to use essential oils topically, make sure they’re at about a 2% dilution. This means that if you’re using a carrier oil like jojoba oil, you’d want to use 6 drops of essential oils per tablespoon of carrier oil. If you’re not the DIY type, you should get this calming essential oil roller! It includes lavender, orange, cedarwood, and ylang-ylang, and it smells amazing! Carry it with you and use it any time you need to take a breath and relax. In my experience with anxiety from Lyme disease, CBD oil was huge. Whenever I’m feeling unreasonably anxious, such as when I’m in a crowd of strangers or about to give a talk, taking a dropper full of CBD oil helps me a ton. When I first tried CBD, I actually thought that the crowd I was in had gotten nicer and smaller. It hadn’t- I just felt less anxious about all the strangers around me! CBD doesn’t numb your feelings like drugs, and it’s not psychoactive, so it won’t make you high. CBD simply helps your body’s natural processes. It helps you get to a healthier, more balanced state of mind, and it can help you sleep better, reduce pain, and more. All this with just a few drops! I love using CBD oil from Restorative Botanicals. They create specific formulas of full-spectrum hemp oil to help with whatever you’re going through. I take the Restore Cell Defense for my Lyme disease, and their Restore Calm blend is a great option for anxiety. You can use code HOPEFUL15 to get 15% off at Restorative Botanicals! EFT, which stands for Emotional Freedom Technique, also called tapping, is a process used to literally tap into your body’s energy meridian centers in order to rewire your brain. Tapping is a way to release anxiety by acknowledging those feelings, listening to your emotions, and allowing yourself to let go of the pain you’re experiencing. This is an incredibly powerful tool that anyone can use! It’s also great for a wide range of afflictions, not just stress and anxiety. Related: How to use tapping for emotional freedom from pain, anxiety, and more. I’d encourage you to try it out and see how it works for you- it’s free, all you need is a little bit of time and your fingertips to get started! Try it even if it seems weird. And even if the mechanism of tapping didn’t actually work, the way that you can use EFT for speaking and acknowledging what’s making you anxious is powerful in and of itself. I know, I know, this one doesn’t sound like it would help at all. And you need to use your best judgment on this one. Sometimes, the things that stress you out will stop causing you anxiety if you just push through and do it! This isn’t true for everything- we have a sense of what’s scary and bad for a reason. Don’t go skydiving just because you’re terrified of it. (That makes my hands sweat just to think about it!) But if it’s something like answering a phone call, talking to a stranger at the store, or other small things that make your heart beat faster from nerves, it might be a good idea to face those foes! If you’re anxious about something unreasonable, and you avoid it, it can convince your brain that there’s more scary stuff out there than there actually is. This can create a downward spiral leading to more anxiety in the future. So sometimes the better option is to just do it! Once you do the scary thing and realize that it was easier than you thought it’d be, your brain will be more likely to remember that the next time something comes up that might cause anxiety. 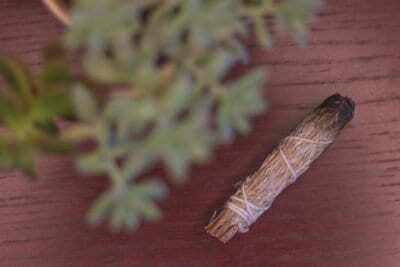 Smudging, or burning dried herbs, is a great thing to do to get rid of negative energy. It’s good to do after you’ve been feeling anxious or stressed, but it can also help in the moment. Smudging works by clearing negative energy so you can have a better mood. If you’ve had a bad couple of days of anxiety, try smudging your whole house. See if it makes you feel better! If it does, try smudging regularly to support a sense of uplifting peace. If you’re experiencing anxiety, going outside can help alleviate those anxiety symptoms you’re feeling. And while you’re out there getting some fresh air, try combining anxiety remedies and breath deeply. While you’re at it, touch a tree! Just being near a tree can change your electrical frequency and help you feel better. 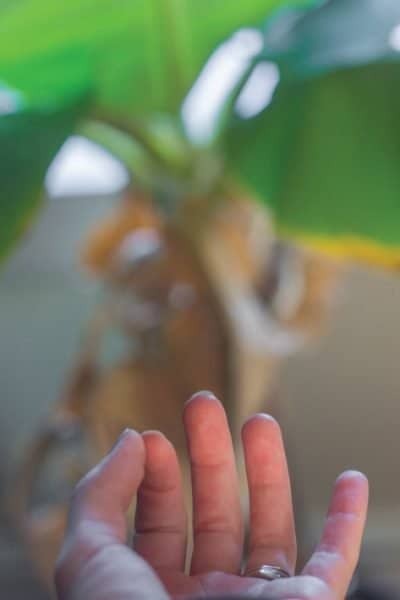 Being grounded, or simply touching the earth, helps to balance your energy system and release the positive ions (and anxiety) you build up throughout the day, especially if you’re on your computer or phone a lot. There are lots of good herbs for anxiety and depression. Unlike pharmaceutical drugs, herbs are very safe to use, with zero harmful or addictive side effects, and they support your body’s natural functions instead of numbing you. Herbs can work as a holistic anxiety remedy as needed, but try not to take them all the time. Regular use can make herbal remedies for anxiety less effective over time. I enjoy getting my bulk herbs from Starwest Botanicals- they never let me down! You’ll want to look up each of these herbs to learn about contraindications (especially if you’re pregnant or have any preexisting condition) and how to take them. They’re beneficial and easy to take as a tea or tincture. I’ll be writing a post soon with a more in-depth look at each of these herbs for anxiety, as well as homeopathic anxiety treatments, so keep an eye out for that! And if you’d rather not DIY, I’d highly recommend the Anxiety Relief Herbal Extract from Earthley! It has a combination of St John’s Wort, ashwagandha, chamomile, catnip, and lavender to help balance stress hormones and support a sense of calm without any drowsiness. All you need is a few drops per day to start feeling better. Again, look these up for usage. Start with the directions and serving suggestions on the bottle for the correct way to use these natural herbal supplements. I hope that you try some of these at home anxiety remedies, and find them helpful! Just like anxiety is multifaceted with many different causes, natural anxiety remedies are just as varied. What works for one person might not work for another, but don’t give up! Keep trying different methods or lifestyle changes for anxiety until you find something that works for you. Are there any holistic anxiety remedies this list is missing? Let me know in the comments below! And if you liked this post, make sure to share or pin it for later!